Ledbetter Wanamaker Glass LLP is an Atlanta based corporate, securities, and commercial real estate law firm comprised of highly accomplished and seasoned business counselors formerly practicing at major Atlanta and AM LAW 100 firms. At Lewis Rice, our roots in the Midwest run deep, but our reach stretches from coast to coast. Although the core of our practice is in Missouri and surrounding areas, we have expanded our practice to serve clients nationwide. We compete effectively with law firms in much larger markets, by delivering sophisticated yet cost-effective results. 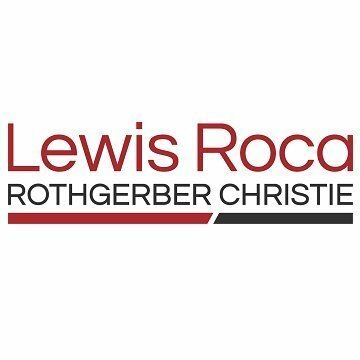 Lewis Roca Rothgerber Christie LLP offers legal and strategic industry experience to help clients realize business value, provide informed counsel on the issues that matter most. With approximately 300 attorneys in 10 cities across the western U.S., the firm assists organizations with a wide range of business matters including litigation, intellectual property and commercial transactions. 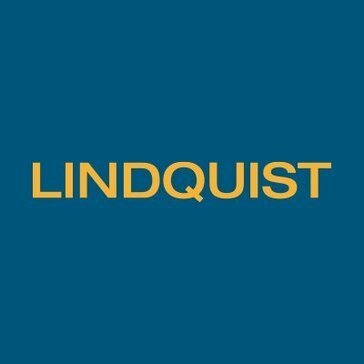 Lindquist & Vennum is a Minneapolis-based law firm with 150 attorneys who provide a full array of corporate finance, transactional and litigation services for clients from offices in Minnesota, Colorado, and South Dakota. We have served corporate, governmental and individual clients across the nation and around the world since 1968 (although our roots are even older, dating back to 1946). 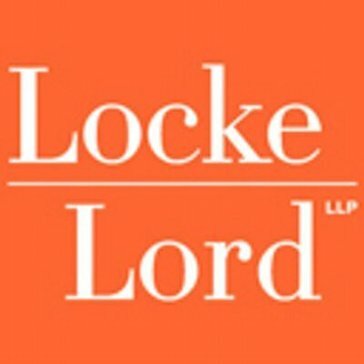 Locke Lord is a full-service, international law firm of more than 20 offices designed to meet clients needs around the world. The Firm has a history that spans more than 125 years and is a worldwide leader in the middle market sector. We are a leading national law firm intensely devoted to our client's success and deeply committed to our core values. We have built a reputation for pursuing every matter with creativity and passion. Our industry knowledge, entrepreneurial drive and proven commitment to our communities deliver a different and better law firm experience to our clients. Manatt is known for quality, for extraordinary commitment to clients, for integrated, relationship-based services, and for a range of capabilities typically found only in boutique firms. We are progressive and entrepreneurial compared to other major firms, and we are deeply committed to diversity, to public service, to involvement in the communities we serve and to excellence in all we do. Since its inception in 1984, Maynard Cooper & Gale has grown to be a nationally recognized firm. We maintain our philosophy to continually focus on each individual client and be responsive to their evolving needs. McDermott Will & Emery is an integrated, international law firm with recognized strength in tax, private equity, M&A, health care, high-stakes litigation, and other key areas of transactional and regulatory law. The firm emphasizes and fosters long-term, industry-focused client relationships with multinational companies, rising entrepreneurial firms, investors and capital providers, and many of the world's wealthiest families and individuals. McDermott is committed to legal excellence, extraordinary client service, a high-performance culture and helping clients achieve stellar legal and business results today, and well into the future. McGlinchey Stafford is a law firm focusing on corporate defense litigation. McGuireWoods, one of the world's leading law firms, has earned the loyalty of its many longstanding clients with deep and broad legal experience; a passion for understanding their businesses and markets; innovative delivery of practical, business-minded solutions; and unmatched service. Businesses need more from a law firm than skilled advice and representation alone they need a long-term strategic partner like Michael Best. We've earned many loyal clients by understanding each one's unique goals, opportunities, and challenges and by delivering results, year after year. Our focus is on your entire organization, not just on the legal matters we're involved in. Miles & Stockbridge P.C. is a leading full-service law firm with more than 230 lawyers practicing in offices across the mid-Atlantic region, including offices in Baltimore and Washington, D.C. Founded in 1932, the firm represents business of various sizes, from national and global companies to local and emerging start-ups. We build businesses, communities and prosperity. Miller Canfield's collaborative approach, deep resources and network of local, regional and worldwide relationships have helped lawyers get work done quickly, efficiently and successfully for clients. We know our clients' businesses, organizations and industries and look out for their best interests. Miller Nash Graham & Dunn is a premier West Coast multiservice law firm, offering comprehensive, responsive and innovative services to clients, ranging from businesses, nonprofit organizations, and public-sector entities to individuals. The firm's clients operate in a variety of significant industries, including banking, biotech, construction, education, energy, food & beverage, government, manufacturing, real estate, securities and technology. Our attorneys are no-nonsense, get-to-the-root-of-the-problem kind of people. Our job to give you clear answers and sound solutions. We focus on what matters to you whether it's overcoming a legal challenge, taking your business to the next level, or having a trusted partner for ongoing legal advice. Mitchell Silberberg & Knupp LLP is a full service law firm that companies turn to when they want a creative legal advisor and business partner. 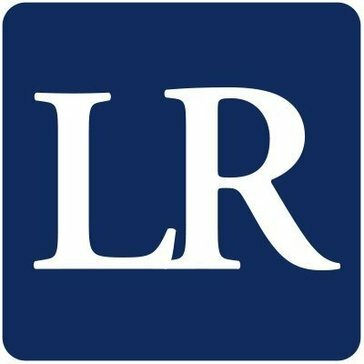 By striving for excellence, Moore & Van Allen has become one of the largest law firms in the Southeast, with regional offices and a national reputation. Technologically progressive, culturally inclusive and community-spirited, we fuse an aggressive work ethic to careful and considered legal advice and to traditional, personal client service. Moss & Barnett provides a full range of legal services to businesses and individuals, with a proven track record of achieving superior results. We believe that every client deserves personalized attention, full accountability, and the depth and breadth of expertise that only a full-service firm can provide. Established more than a century ago, our firm has helped shape the legal landscape in Minnesota, while building thriving and diverse national practices. Moye White offers strategic representation in complex commercial transactions and disputes. Our clients range from entrepreneurs and startups to mid-sized and established corporations, organizations, and associations. We also provide local counsel services for many national law firms. Our attorneys, paralegals, and administrative staff collaborate in a team-oriented environment. We take the time to get to know our clients, understand their interests, and help define their goals. Attorneys from our Business, Real Estate, and Litigation sections often consult with each other on case issues and strategies. Our team approach fosters increased communication, streamlined processes, and shared knowledge that results in thorough advice to our clients. Moye White's attorneys have a reputation for excellence and an eye for detail. We integrate experience, commitment, creativity, and collaboration with premium service to create the best possible client-attorney partnership and value for the long term. Whatever the case, matter, or issue, the resources of the entire firm are dedicated to every client. CERTIFIED B CORP Founded in a tradition of excellence, we embrace new methods, technologies, and perspectives to serve as effective legal advocates. As a Certified B Corporation, we are committed to ensuring that our firm’s operations, management practices, and governance are at the highest levels, placing us in the best position possible to effect change that benefits our community, our environment and our clients. For more than 50 years, Munger, Tolles & Olson attorneys have been partnering with clients on their most important and complex cases and deals. We have purposefully maintained a low-leverage environment and eschewed the high-leverage model adopted by many firms. We believe our one-to-one overall partner-to-associate ratio instills a work ethic that results in a cost-effective approach for our clients. Murphy & McGonigle's attorneys have substantial experience in securities law, regulatory enforcement and investigations, and counseling of financial institutions. Our clients benefit from attorneys focused on numerous aspects of financial services regulation and litigation, dedicated to staying current on relevant legal and regulatory developments, and committed to providing the highest levels of client service. Our attorneys' expertise in complex litigation is complemented by our strategic discovery and information management practice that provides strategic and cost-effective solutions for clients related to the discovery and management of electronically stored information. Neal Gerber Eisenberg is a Chicago-based law firm whose attorneys share a culture of teamwork and devotion to personalized client service to advance our clients business interests. Our attorneys provide legal business solutions to public and private entities of all types including Fortune 100 companies, financial institutions, nonprofits and high net worth individuals in connection with domestic and global business transactions and litigation. Our full service firm is large enough to handle nearly any legal matter throughout the world, yet small enough that clients personally know the attorneys accountable to their matters. Nexsen Pruet represents businesses in virtually every industry. More than 190 attorneys practice in eight offices across the Carolinas. The National Law Journal ranks the firm as one of largest in the United States. Nixon Peabody LLP handles complex challenges in litigation, real estate, corporate law, intellectual property and finance anywhere in the world. 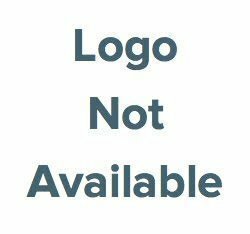 Norton Rose Fulbright is a global law firm. We provide the world's preeminent corporations and financial institutions with a full business law service. Welcome to a high-value experience in legal services. A more contextual way of thinking. A more collaborative way of working. A more personalized approach that puts you and your success first. Welcome to a nationally-ranked law firm that is as interested in your business as you are. A firm that combines insightful consultation with practical execution. A firm where smart solutions never come at the expense of good value. O'Melveny's clients shape markets, set precedents, and break boundaries. They are stalwarts and innovators, the names you trust and the next big thing. And for more than a century, O'Melveny has been right beside them, kicking down walls and putting up defenses to help our clients achieve their most important goals. Orrick is a law firm with a particular focus on serving companies in the technology, energy and financial sectors. Osborn Maledon is a leading Arizona law firm providing litigation, business and general counsel solutions for our clients. We combine a unique commitment to Arizona with the experience, expertise, and results clients expect from national firms. Our lawyers are among the most experienced anywhere in complex litigation and corporate matters. Otterbourg offers clients a unique combination of legal insight and practical solutions and is known for its integrity, stability and business knowledge. For the past century, Otterbourg has been the firm of choice for an elite group of leading financial institutions and commercial businesses. Parker, Hudson, Rainer & Dobbs LLP is a mid-sized firm with an integrated collection of exceptional boutique practices. We offer a full range of legal expertise in business matters in an environment that combines superior legal talent and work product with the advantages of excellent service, lower overhead, and efficient billing rates available through a mid-sized firm. Parker Poe Adams & Bernstein LLP provides legal counsel to large commercial and public organizations on litigation, corporate and regulatory matters. It has been recognized in recent years as an award-winning leader in the use of technology to provide better and more efficient service to domestic and international clients. At Paul Hastings, our purpose is clear to help our clients and people navigate new paths to growth. With a strong presence throughout Asia, Europe, Latin America, and the U.S., Paul Hastings is recognized as one of the world's most innovative global law firms. Paul, Weiss is a firm of more than 900 lawyers with diverse backgrounds, personalities, ideas and interests who provide innovative and effective solutions to our clients most complex legal and business challenges. We take great pride in representing the world's leading companies in their critical legal matters and most significant business transactions, as well as individuals and organizations in need of pro bono assistance. Pepper Hamilton LLP is a multi-practice law firm with more than 450 lawyers. The firm provides corporate, litigation and regulatory legal services to leading businesses, governmental entities, nonprofit organizations and individuals throughout the nation and the world. Perkins Coie LLP offers legal advisory services. Pierce Atwood LLP, which just celebrated its 125th anniversary in 2016, is a leading regional multiservice law firm recognized nationally and internationally for its expertise in complex and class action litigation, energy production and distribution, mid-market mergers and acquisitions, information security and technology, commercial real estate development, and complex construction projects. Pillsbury is a full-service law firm with a keen industry focus on energy & natural resources, financial services, real estate & construction, and technology. Based in the world's major financial, technology and energy centers, Pillsbury counsels clients on global regulatory, litigation and corporate matters. We work in multidisciplinary teams that allow us to anticipate trends and bring a 360-degree perspective to complex business and legal issues helping clients to take greater advantage of new opportunities and better mitigate risk. We are committed to our clients. For 170 years, clients have trusted Porter Wright to provide exceptional legal advice. We pride ourselves on the responsiveness of our service, and for providing real value in all that we do. Proskauer is a leading global law firm focused on creating value. Our roots go back to 1875, when we were founded in New York City. With 700 plus lawyers active in virtually every major market worldwide, we are recognized not only for our legal excellence, but also our dedication to client service. A premier, midsized law firm with headquarters at 7 Times Square and a West Coast office in Los Angeles, Pryor Cashman is known for getting the job done right, and doing it with integrity, efficiency and ͩlan. Entrepreneurs and start-ups, music publishers and filmmakers, Fortune 500 companies and family-owned businesses, high net worth individuals and nonprofit institutions - we are committed to helping every client achieve their specific goals. For 125 years, Quarles & Brady LLP has provided quality legal services to a wide range of industries on a national stage. We've strived to learn our clients' businesses to see the horizons through their eyes. We don't just counsel, but invest in the success of each client, partnering with them to achieve their business goals. Reed Smith represents many of the world's leading companies in complex litigation and other high-stakes disputes, cross-border and other strategic transactions, and crucial regulatory matters. Reed Smith counsels 13 of the world's 15 largest commercial and savings banks; 25 of the world's 35 largest oil and gas companies; and many of the world's largest pharmaceutical and medical device manufacturers. At Reinhart Boerner Van Deuren, we know that every trusted relationship begins with understanding. That is why our attorneys take the time to listen critically, learn the unique attributes of each client's business, and work together to build a foundation for success that goes beyond providing legal services. At RL Fein Inc. we'll work in step with you so we can anticipate and address your legal needs. RL Fein Inc. is dedicated to helping you succeed within the law. We focus on transforming information into understanding. Avoid the legalese whenever possible and explain it as succinctly as possible when required. Instead, we work hard at providing top shelf legal representation at a fair and reasonable cost. Robinson Bradshaw is a full-service corporate law firm committed to providing clients with comprehensive legal services of the highest quality. As a large regional law firm with national capabilities, we are the smart choice for your legal needs. Rogers & Hardin is the Atlanta-based law firm with a national reputation for excellence. We've been helping clients solve challenging legal problems for 40 years. Many clients comment that our approach is unique.